Played every game in 2017, putting his line-breaking skills to good use on the wing. Atkins ranked second at the Club for inside 50ms and running bounces, and third for metres gained. He averaged a career-high 21 disposals, collecting a personal best 37 against Fremantle in Round 10. Atkins also kicked 11 goals, including three in the season-opener against Greater Western Sydney. Notched up his 50th game in the Round 19 draw with Collingwood. Played every game and was one of the Club’s most improved performers. The skilful left-footer averaged 21 disposals at 75 per cent efficiency to cement his place in Adelaide’s starting side. 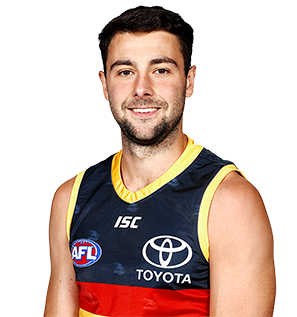 Atkins provided great run and carry, finishing second at the Club for total metres gained (8,750m) behind only super-boot Brodie Smith. The speedster was also able to impact the scoreboard with 11 goals for the year, including match-winning majors against Sydney in Round Four and West Coast in Round 12. 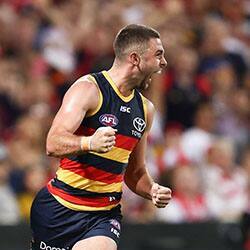 Collected a career-high 32 possessions in the Crows’ Round 21 win against Fremantle. One of the success stories of Season 2015. Atkins missed the first two months of the season after injuring his knee during pre-season training in February. 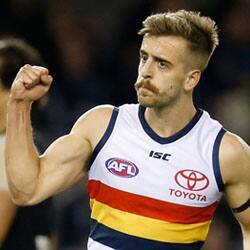 He returned to football through the SANFL and earned his way to an AFL debut as the substitute in Showdown XXXIX. The skilful left-footer played in eight of Adelaide's next 10 games and used his energy and pace to make an immediate impact. Will be eager to add to his games tally in 2016. Atkins went close to making his senior debut in 2014 in what was another promising season. The left-footed wingman was an AFL emergency on several occasions after a string of impressive SANFL performances. Atkins averaged 19 possessions at 80 per cent efficiency at State League level and finished in sixth spot in Adelaide’s SANFL Best and Fairest count. The left-footer played seven SANFL league games in his first year at Adelaide, showing glimpses of why he was included in the AIS-AFL Academy as a 17-year-old. A goalkicking onballer, Atkins can play at half-forward and also in the midfield. 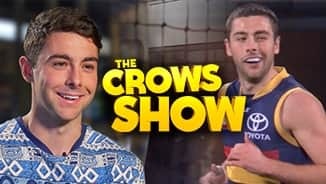 Should benefit from playing in the Crows system year-round. Recruited from the prominent Victorian Calder Cannons Football Club, Atkins is a skilful left-footer who is renowned for his fantastic kicking skills. Atkins spent time at the AIS-AFL Academy, training with the nation’s best underage talent. The 18-year-old secured the Calder Cannons 2012 best and fairest award after a fantastic 2012 season playing predominantly as a half forward and in the midfield. He was Adelaide's second and final selection at the November national draft.